Operation Greylord was the largest undercover public corruption investigation in FBI history. For 3½ years, Terry Hake (Terrence Hake) worked undercover in Chicago's court system, posing first as a corrupt prosecutor, accepting bribes from attorneys, and later as a corrupt criminal defense attorney paying off judges for the dismissal of cases. 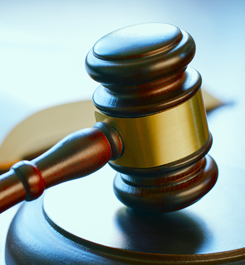 During the investigation, a judge's chambers were bugged for the first time in the United States and Hake became an FBI agent while undercover, another first. The operation resulted in charges against 103 judges, lawyers, and court personnel. The story has never been told by an insider — until now. 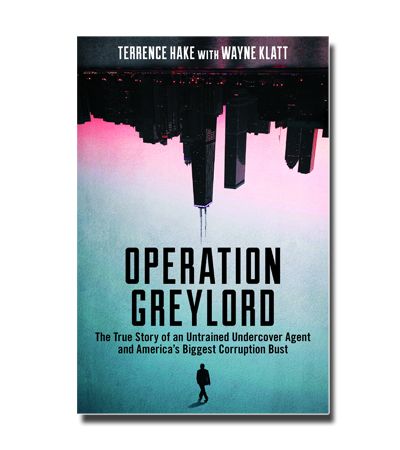 Operation Greylord is a detailed account of Mr. Hake's experiences as an untrained undercover agent at the center of the biggest corruption bust in American history. The book is published by Ankerwycke, an imprint of The American Bar Association. Terry Hake graduated from Loyola University of Chicago School of Law in 1977. He served for five years as a prosecutor in the Cook County State's Attorney's Office in Chicago, Illinois, and as an FBI agent in Chicago. In April of 1980, he agreed to assist the FBI and the United States Attorney's Office in an investigation of the Cook County Court system. While still working undercover, he was made an FBI Special Agent in 1983 and attended training at Quantico in 1984 after the undercover investigation concluded. Mr. Hake testified at the trials of 23 defendants charged during Operation Greylord. After serving in federal law enforcement for 23 years, he retired from the United States Department of Justice Office of Inspector General and eventually returned to the practice of law as an Assistant State's Attorney in Cook County. In 1989, Mr. Hake received the Louis E. Peters Award from the FBI and the Society of Former Special Agents of the FBI for his undercover work as a prosecutor in Greylord. Mr. Hake is a member of the Society of Former Special Agents of the FBI and the Chicago Crime Commission. He retired from the State's Attorney's Office in 2016 after his book was published. He resides in northern Illinois. Mr. Hake has lectured extensively to attorneys, business professionals, law students, and law enforcement officers concerning the investigative techniques and ethical lessons learned from Greylord. He has spoken at such institutions as the University of Chicago, Loyola University of Chicago, Northwestern, Harvard, Georgetown University, and the University of Arizona. Mr. Hake is available to give presentations regarding his book and Operation Greylord.